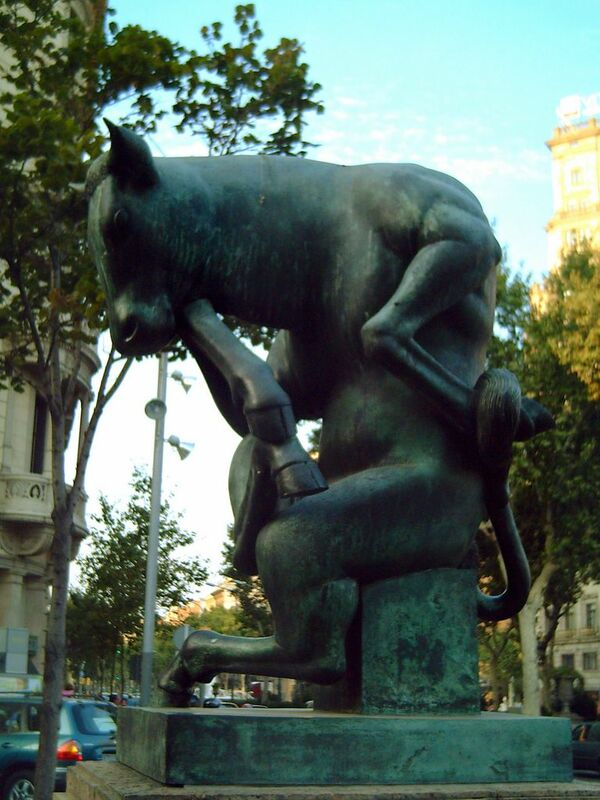 Bull by Josep Granyer located at Rambla Catalunya and Gran Via. Remember a previous post about a Giraffe called Coqueta by the same author at the upper end of Las Ramblas near Diagonal Avenue?. I took this photograph from below, against the sky. Check real position of the statue here. It seems that he is posing for the camera. It is rather small but I like the way it looks. View Satellite Picture of Rambla Catalonia on Google Maps. 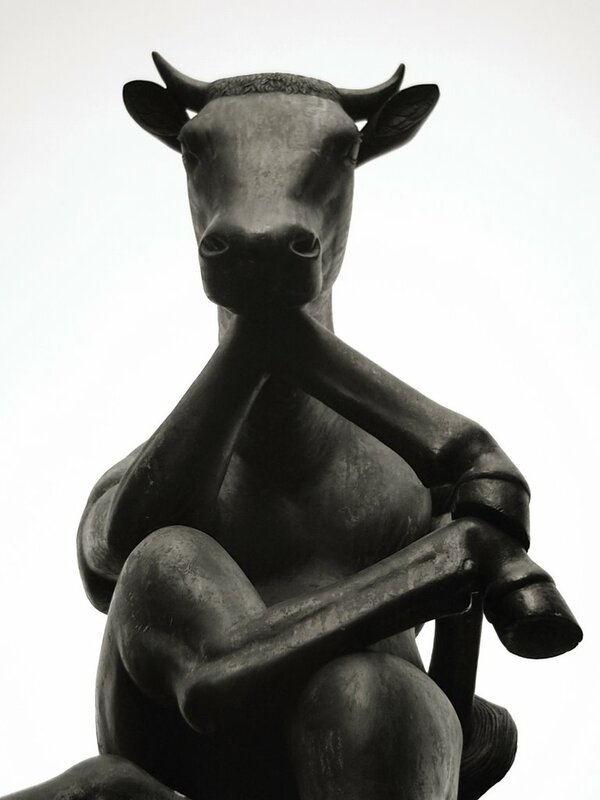 a pondering bull! looking down on the thousands of humans that walk past. How funny! I like his pose. I think it's a play on Rodin's The Thinker. Well thought luggi, I didn't think about that. Perfect mascot for one of my companies! Your angle is much better and more dramatic that the "real position".